How to protect your body and organism from heavy metals, reducing the toxicity in the kidneys and treating issues in the gastrointerstinal tract, but still get vitamins that you need? Now it is easier with GREEN MIX. 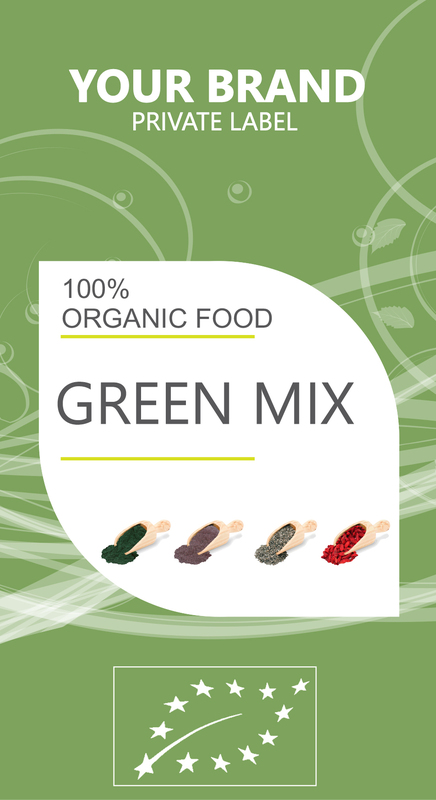 Green mix is mix of Chlorella, Spirulina, Barleygrass and Wheargrass. Everyone of them has its own benefits, that your organism needs. CHLORELLA is an natural supplement that boosts your energy, supports fat loss and helps detox heavy metals like lead and mercury from your body. One of chlorella’s most significant health benefits is that it wraps itself around even stubborn toxins residing in our bodies, such as lead, cadmium, mercury and uranium, and keeps them from being reabsorbed. Regular consumption of chlorella can even help keep heavy metals from accumulating in our bodies’ soft tissues and organs in the first place. WHEATGRASS is helpful in treating issues in the gastrointestinal tract. It is also known to ease the problems that occur in the bowels. It also has the properties of treating rectal bleeding and stimulating smooth bowel movements, while reducing constipation. Wheatgrass can be consumed in the form of powder, which has high amounts of chlorophyll. This chlorophyll is responsible for the detoxification of the body. Apart from the detoxification, it also ensures that there is an increased amount of oxygen sent to every cell.